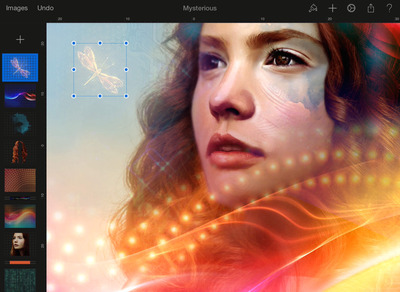 iTunes‘Pixelmator’ is a powerful new image editor. To help you find some apps that are fun and make your life a little easier, we’ve collected the best apps of the past month. From apps that scan your proportions and send you a custom shirt to an app that will introduce you to your own international pen pal, you’re bound to find something you’ll enjoy. 'Wayfare' pairs you with an international pen pal. People don't keep pen pals very often anymore, but 'Wayfare' is trying to fix that. The app pairs you with someone from another country, who you'll get to know over the next seven days through photo challenges and some good old fashioned conversation. 'MTailor' is an easy way to order a custom-fitted shirt. 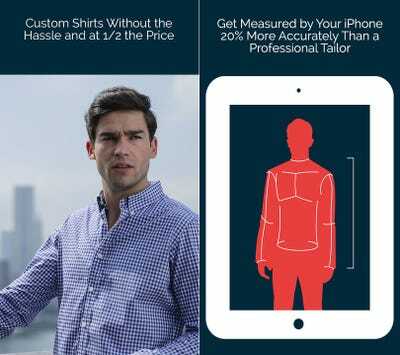 Using your iPhone's camera, 'MTailor' scans your body's proportions and sends you a custom-fitted shirt right to your doorstep. Shirts start at $US69, and you choose the fabric and style of the collar. 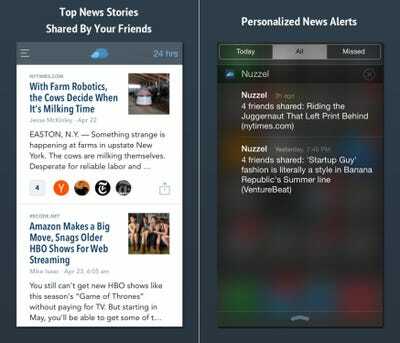 'Nuzzel' is a news reader for viral news. The app plugs into your Facebook and Twitter accounts so you can see what your friends on social media are reading about in the news. 'Pixelmator' is the best image editor out there for iPad. Pixelmator is a powerful image editor capable of practically any editing task you can throw at it. There's tools for creating and editing paintings and photos, professional-grade features like colour correction, retouching, repairing, and object removal, and even advanced effects and layer-based editing. 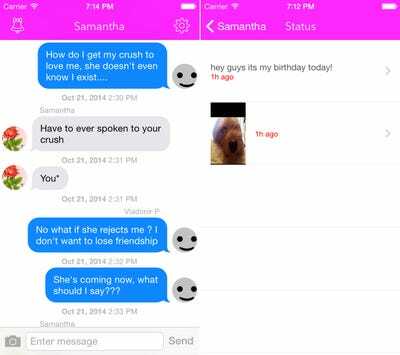 'Samantha' only lets you send messages to a real-life girl named Samantha. Inspired by the movie 'Her,' a real-life girl living in Brooklyn decided to launch an app that only allows people to message her. The No. 1 rule of the app is 'Don't fall in love with Samantha,' but with clear tie-ins to 'Her' and its love story between man and AI, the app promises to be an interesting social experiment. 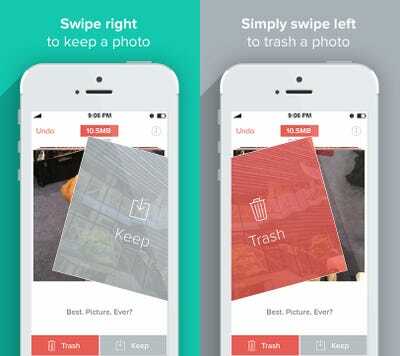 'Flic' lets you swipe left or right to clear out your photo library. With a Tinder-esque swiping system, 'Flic' makes deleting photos to free up space into a game of sorts, and you can even see how much storage you're freeing up as you go. 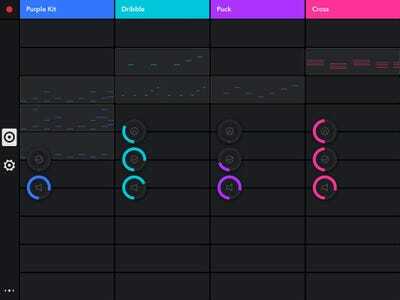 'Auxy' is an easy way to create your own electronic music. If you're a fan of EDM music but afraid of the clutter of other beat-making apps, give Auxy's simple and friendly user interface a try. The app helps you keep things in sync, and lets you listen to your beats in real-time as you create. 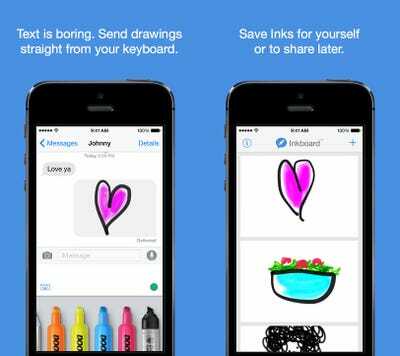 'Inkboard' is a visual keyboard that lets you draw a tiny picture or note and send it to your friends, without leaving your favourite messaging app. Named after the button you'll be constantly pushing, 'Retry' asks you to manoeuvre through obstacles and avoid the walls as you fly towards safety. 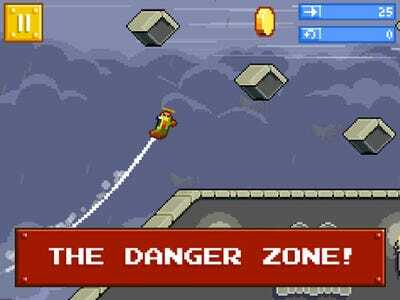 The game's controls, however, are what make the game fun, allowing you to loop and stall out mid-air. 'PhotoMath' uses your iPhone's camera to solve maths problems. 'PhotoMath' is a great tool for when you're stuck with a maths problem. 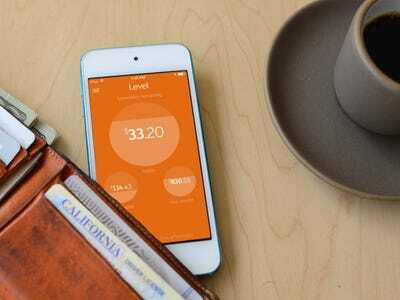 The app scans and solves maths problems in real-time, and it will even show you the steps to finding the solution. The app only reads printed equations and it can't solve calculus-level maths equations, but it's handy for most everything else. 'Vektor 1.0' is a cyberpunk thriller with a killer soundtrack. The premise of 'Vektor 1.0' is simple: deliver the package safely and slash your way past the enemies along the way. 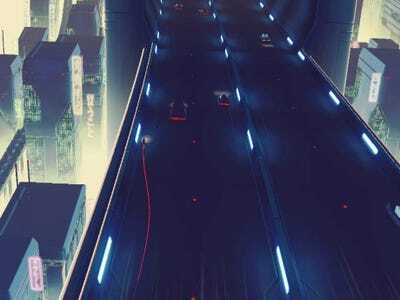 With cyberpunk visuals and a soundtrack that feels inspired by 'Tron,' 'Vektor 1.0' is a fun and stylised way to pass some time. 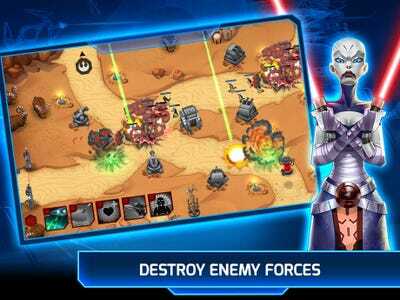 'Star Wars: Galactic Defence' is a tower defence game infused with your favourite 'Star Wars' heroes. 'Galactic Defence' lets you declare your allegiance to the Dark Side or Light Side of the Force and defend your base with 'Star Wars' heroes like Luke Skywalker, Yoda, and Obi-Wan in over 100 different scenarios. 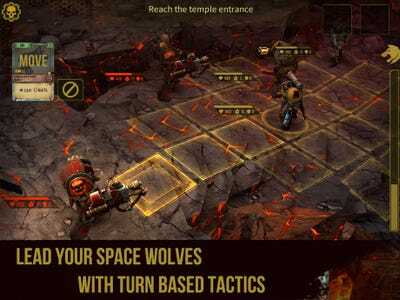 'Warhammer 40,000: Space Wolf' combines card-battling and turn-based combat into one epic game. The newest 'Warhammer 40,000' game is all about strategy. This online game puts you in charge of a squad of heroes as you fight your way through a hellish environment using collectible cards and turn-based combat. Wish your phone was capable of more?